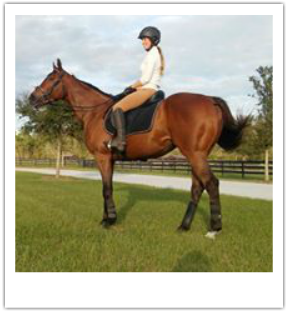 Our Equine Friends Virtual Stable! their fellow "stablemates" in so many ways! will include them in our Virtual Stable. We are both ex-racehorses who are now enjoying retirement! 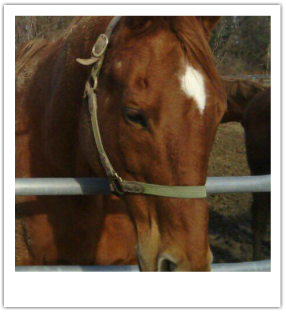 Thank you PARR for helping our other horse friends find great homes like we have! I (Whiz) am teaching a girl how to jump. Cutty does nothing but eat. I retired from racing, then was left in a field to fend for myself. Nice huh? Some girl says rescued me and then they let me teach a beginner how to ride. They acted surprised that an off the track horse pulled out of a field could teach a kid to ride. My punishment for being so well behaved was being George Washington that Halloween. Thank you PARR for finding weird humans to give us a better life. I hope our donation can buy someone a cooler costume...or apples. My name is Spilkes, ie Traveler. I am 23 years young. My owner and I have been together since I was 5. I have taught her many lessons through the years. I have dabbled in many activities. I especially love trail rides. Trailering not so much. I love to eat and hang out with my buds here at the farm. I consider myself a ladies man. I plan on hanging out many more years! Hi, I am Nile Seeker. My last race was June 2015 at Parx and I was adopted through the Turning for Home program in July 2015. I had 11 career starts and was a winner earning over $35,000. I am now living in Florida and have been enjoying retirement. I am set to start my new career in January 2016. It was love at first sight for my Mom and she fell for the picture TFH posted of my when I was available for adoption. Before I knew it, I was in sunny Florida! I hope that all the other ex-racers get a wonderful loving home like I did! New virtual boarders coming soon! Rakker and Bits are moving in shortly!